Beautiful Updated Home. This single story 2 bedroom 1 bathroom home has been completely upgraded through - out. Upon first walking in you'll notice the vaulted ceilings which makes the home feel much larger than 864 sq ft. The living room offers a great fireplace to keep warm during those chilly winter months and AC for those hot summer days! The kitchen is open to the living room and features all stainless steel appliances and granite counter tops. Both bedrooms are of good size and the bathroom has been completely upgraded with a granite counter top sink and tile shower. 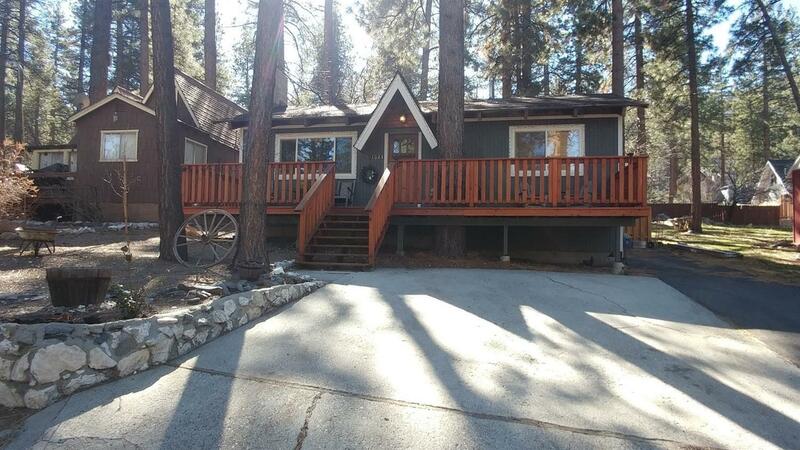 This home also offers great front and back decks to take in all the mountain views as well as a very spacious back yard to host those BBQ parties. Another point not to miss is the RV parking that this home has to offer! Don't miss your chance to own this beautiful home! Directions: Hwy 2, Turn Up Spruce, Right On Robin Ln, Right Into The Circle, Piq On Left Hand Side.